With the onset of cold weather, the Christian mission “New Life” deployed mobile heating points to help everyone who, due to various life situations, found themselves in fierce weather outside. These points help to prevent overcooling of the homeless and even avoid lethal cases of citizens. In the army tents, which volunteers deploy, people without permanent residence, as well as those who have become hostages of circumstances can warm up, drink tea and eat. Heating points operates around the clock with the support of the State Emergencies Service of Ukraine and the police. They organize the systematic duty of mission volunteers. If necessary, first aid is provided and people are redirected to a shelter or social adaptation center. The heating points are equipped with stoves, tables, benches and berths so everyone who is looking for cover, when the temperature is below zero can hide from the bad weather and warm up. Also homeless people receive help with warm clothing and shoes. 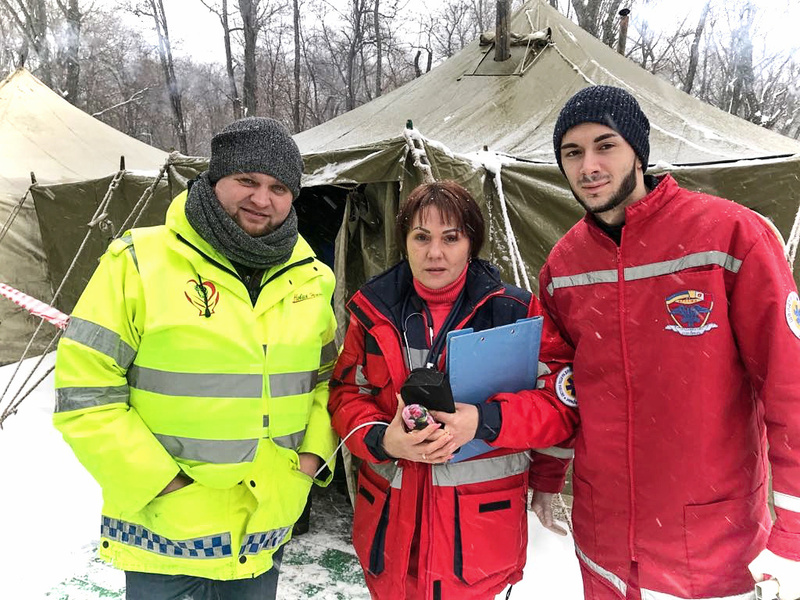 Only on the territory of Odessa region 26 tents work in winter. One such point can be visited by 50 to 300 people per day. The help they receive here is only a small part of the mission’s concern for the needy and the homeless, who stay in the heating mains and basements during the harsh winter. For many homeless people this is almost the only place where they can receive care and attention, to eat and even save their life from cold death or frostbite and disability.